Engines, transmissions, motorcycles, ATVs, tractors, and basically any type of machine or heavy machinery have proven to be "less problematic" shipments. 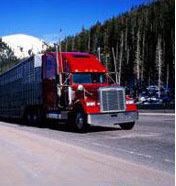 We consider these types of shipments to be "Our Specialty"; therefore we offer special rates for these customers. Click here for a quote regarding eBay Motors shipments!